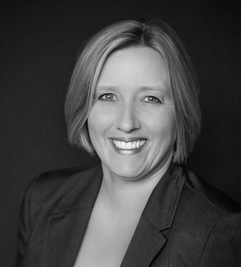 Andie Viele has been a consultant, coach and recruiter specifically for attorneys and law firms since 2001. She has happily built and maintained long lasting relationships in the South Florida legal market and beyond. Andie has successfully matched her business acumen with a creative flair, a magical intuition and an innate understanding of how to structure a deal so that all parties end up winners. Over the years, Andie has fine tuned her natural understanding and insight into people, as well as her ability to help her client’s create insights for their future — then working with them to have their highest goals become realities. Frequently called upon as an expert in her field, Andie has been published in the Daily Business Review on the subject of Recruitment and Retention, as well as in an Attorney Satisfaction Survey that provided insight into her work with the Work Life Continuum. She is well known in the legal market as a go-to consultant for career coaching and strategy. Andie’s training in the area of coaching includes professional business coaching by a renowned Olympic Master Class coach. During college, Andie began her career in banking human resources, where her profound interest in people’s careers was born. Andie is an adventurous and prolific traveler who also enjoys reading, wine and champagne, boating, new business ventures, contemplating the universe and spending as much time as possible with her family. An entrepreneur, Andie also owns Haute House, a company with several successful brands in the professional and retail beauty industry, including outlets such as QVC and TJ Maxx.